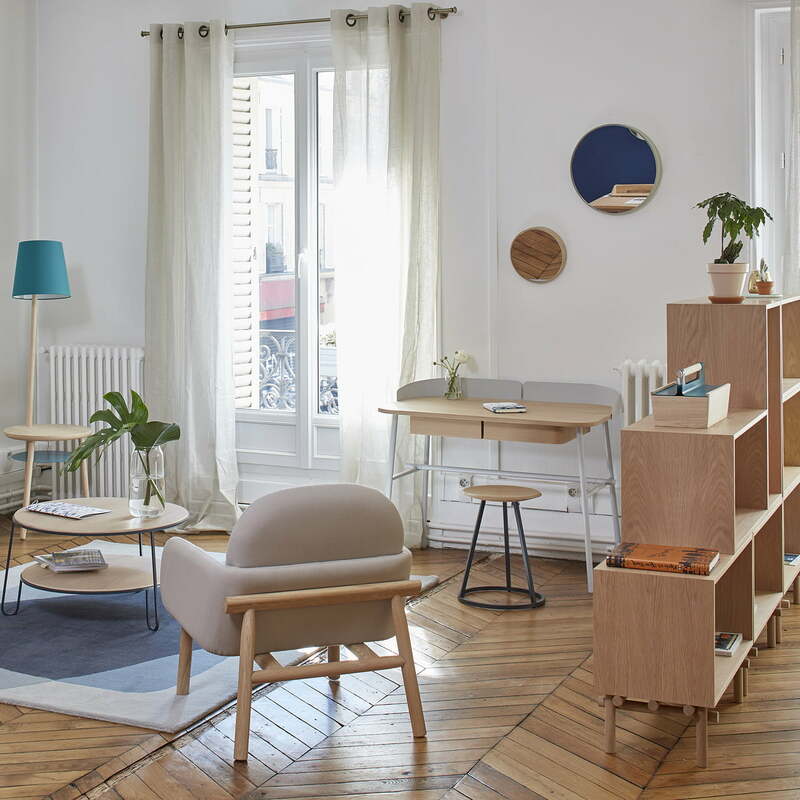 The Desk Victor by Pierre-François Dubois for Hartô is compact and convenient. It convinces of a spacious and at the same time space-saving working surface, two large drawers that are installed below the working surface. The drawers are divided and stow away documents and office supplies, so that the countertop won’t be overloaded with unnecessary things. A metal border meanders around the back of the table top. The border is divided in the middle to easily and discreetly letting cables hanging down on the rear edge of the table plate. The metal border as well as the base frame are made of metal and matching colour and make sure to draw attention to the desk. The worktop of the desktop of the Desk Victor by Pierre-François Dubois for Hartô is made of MDF and covered with high-quality oak veneer. The frame as well as the border are made of metal and are available in a further matt lacquering. 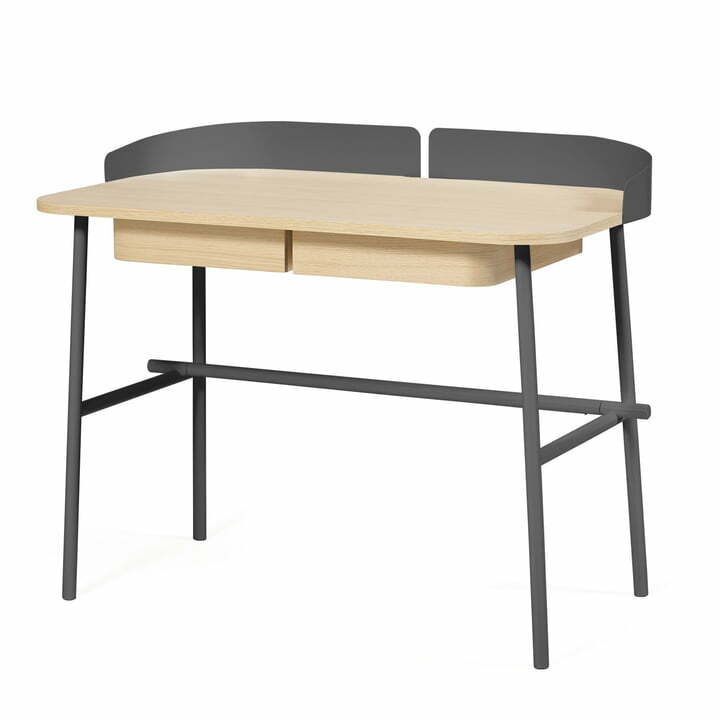 The frame of the Desk Victor by Pierre-François Dubois for Hartô, as well as the border are made of metal and are available in different matt paint finishes.